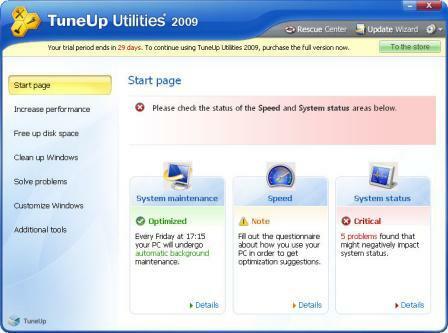 Latest version of the popular Windows PC optimization suite "TuneUp Utilities 2009" is now available for downloading, being one of the most comprehensive PC optimization application suite, TuneUp Utilities 2009 offers all the required tools you will ever need for Windows maintenance as an easy to use, single streamlined solution, the all new TuneUp Utilities 2009 makes use of an much improved intelligent optimization approach by analyzing individual PC configuration to tune-up the Windows system delivering the maximum performance. TuneUp 1-Click Maintenance module offers fully Automatic, fast, scheduled optimization. 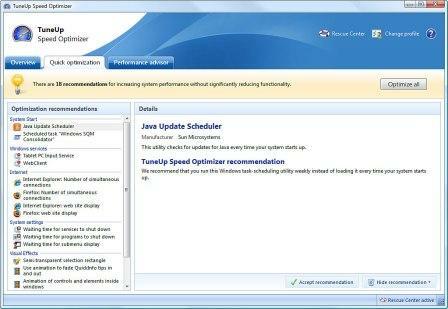 TuneUp Speed Optimizer module makes use of its intelligent analysis engine to identify unused programs, resource-draining functions and recommends tools for optimal PC performance. TuneUp Drive Defrag to maintain an organized hard drive for speeder Windows performance. TuneUp StartUp Manager to fine-tune your start-up items, identifying common programs with recommendations to enhance performance. 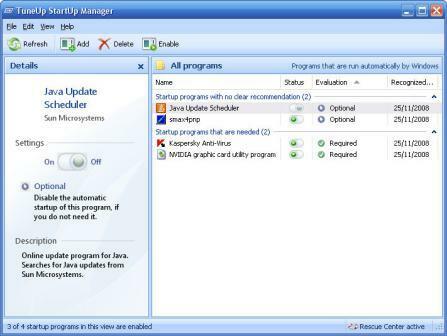 TuneUp Uninstall Manager - installed applications can now be arranged by size, date of installation or last access date with usage history. TuneUp Registry Defrag and TuneUp Registry Cleaner modules for Registry cleaning and optimization. TuneUp Disk Doctor module to Detect and Repair Hard Drive Errors. TuneUp Repair Wizard module to solve common Windows Problems. TuneUp Undelete Date recovery solution to restore deleted or damaged files. TuneUp System Control module offers more then 400 settings to personalize your system and get most out of it. TuneUp Styler module to customize appearance of Windows visual elements. TuneUp Shortcut Cleaner to organize and repair desktop, Start menu, and Quick Launch shortcuts. TuneUp Disk Space Explorer for detailed disk-space analysis. TuneUp System Information providing all the required infromation about Windows and common hardware. 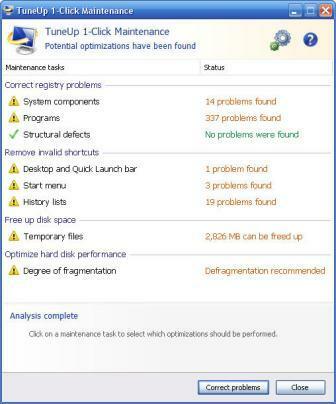 TuneUp Process Manager - advanced Windows task-manager. TuneUp Registry Editor module as an REGEDIT alternative for fast and easy Registry editing. TuneUp Shredder to permanently deleting sensitive data. All in all, Tune Up Utilities 2009 is a must-have Windows utility, but the application is not free and costs $49 for full version, if you are looking for an free alternative try the System Mechanic or Advanced WindowsCare free registration key offers shared earlier on this blog. TuneUp Utiltities 2009 is one of the best software's out there. That's a good software. But, there aren't a cr@ck? Or K3yg3n? I don't want to use it only in 30 days. Your post above indicates that you can send me the keygen to the 2009 version. If so, please send to mportner@gmail.com and thank you. how you can cr@ck TuneUp 2009 it's 100% virus FREE! because you can make the serial on the website! It is so sad,I keep seeing gret packages for .I click every link subcribe all over and still I cannot get nowhere. I do not get this site I have NEVER been able to download anyting in Megaleecher.